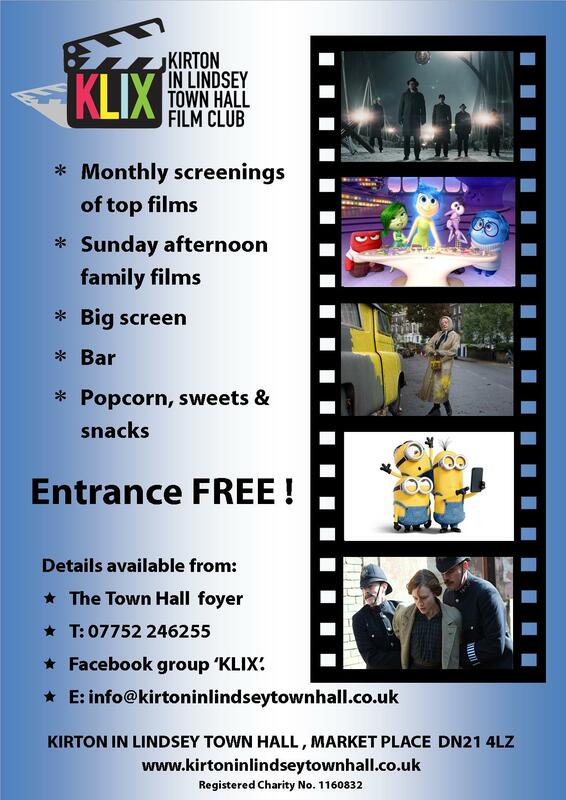 We have a community cinema at the Town Hall. It’s called KLIX (Kirton in Lindsey flicks!) and we have monthly Saturday night screenings of films which have recently come out on DVD. Membership and entrance are FREE and there is a bar and refreshments. 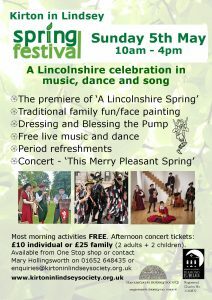 The nature of our licence means that we have to run it as a club and we can advertise the club but not the details of the screenings (except inside the Town Hall building). So, if you want to find out more – become a member! 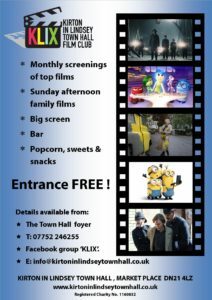 We also have a family film afternoon on the following Sunday at 3pm. Error: Error validating access token: Session has expired on Saturday, 23-Mar-19 02:32:21 PDT. The current time is Thursday, 25-Apr-19 23:25:37 PDT.